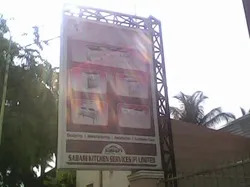 Established in the year 1995, we, “Sabari Kitchen Services (P) Limited”, are counted amongst the prominent manufacturers, suppliers, traders and exporters of Cookwares, Hot & Cold Food Display Cases, Water Coolers & Deep Freezers and Kitchen Equipment Accessories. Available in varied capacities, shapes & sizes, these are highly acclaimed for their perfect finish, durability and dimensional accuracy. Our range of kitchenwares is highly demanded in canteens, clubs, marriage halls, resorts, hotels and hospitals. 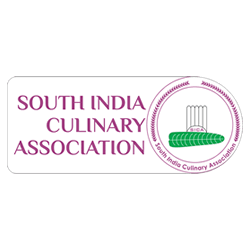 We are looking for queries for Commercial Kitchen and Accessories from Tamilnadu, Kerala, Karnataka, Andhra Pradesh, Telengana and All other parts of the country and also welcome the overseas inquiries. We are well equipped with sophisticated machining, which help us in conducting large scale production of products. 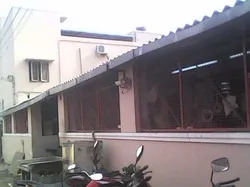 Our professionals make best use of these facilities and help us cater to specific requirements of our clients. Owing to our quality approach, we have been able to cater to the demands of our valuable clients based in Andaman Nicobar Islands, Indian Subcontinent, Central America, South East Asia & Middle East Etc,. Our mentor, 'Mr. Thangavelu', holds vast industry experience and knowledge in this domain. He guides us in every field of business right from procurement of raw material to marketing of products. His strong business acumen & in-depth expertise have been a source of inspiration for our professionals. We have a team of qualified & skilled professionals, which helps us in the production of unmatched range of Cookwares, Hot Cold Food Display Cases, Water Coolers & Deep Freezers and Kitchen Equipment Accessories. Our professionals are backed by rich industry experience and work in sync to ensure continuous improvisation of our range. All these professionals make best use of available facilities in order to streamline the production and other related processes. We also conduct training sessions for our employees to keep them abreast with latest market changes. Mr. MSM. 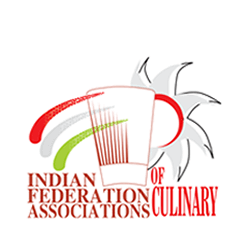 Thangavelu who is a managing director of "SABARI KITCHEN SERVICES PRIVATE LIMITED" now proudly a member of Indian federation of Culinary Association. Being a prominent manufacturer, supplier and exporter, we are engaged in offering a comprehensive range of Cookwares, Hot & Cold Food Display Cases, Water Coolers & Deep Freezers and Kitchen Equipment Accessories. Manufactured using quality material like stainless steel, these are available in different capacities, shapes, designs, and sizes. 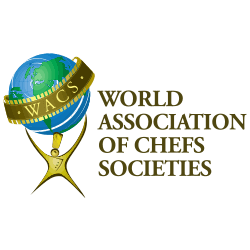 Our products are at par with international quality standards and find application in canteens, hospitals, software institutions, educational institutions, hotels, resorts, clubs and marriage halls. In addition to this, we also undertake the customization of our range as per the specifications laid down by our clients. Apart from the above mentioned products, we also offer Gas Burner Range and Utensils Storage, Deep Freezers, and Washing Equipment & Items. Due to our quality products and client centric approach, we have been able to cater to varied demands of our esteemed clients. As a client centric organization, we strive to design our range of Cookwares, Hot & Cold Food Display Cases, Water Coolers & Deep Freezers and Kitchen Equipment Accessories as per clients' requirements. Our professionals conduct various meetings with the clients for understanding their specific needs and incorporating the same in our range of products. With the help of our highly advanced and hi-tech manufacturing unit, we deliver customize orders of clients within the set time frame. Our meticulous efforts towards providing a quality range of Cookwares, Hot & Cold Food Display Cases, Water Coolers & Deep Freezers and Kitchen Equipment Accessories have enabled us to build a vast client base across the globe. Our Moto : We are looking to grow along with anyone who gets their hands together with us a TEAM.